What a find! 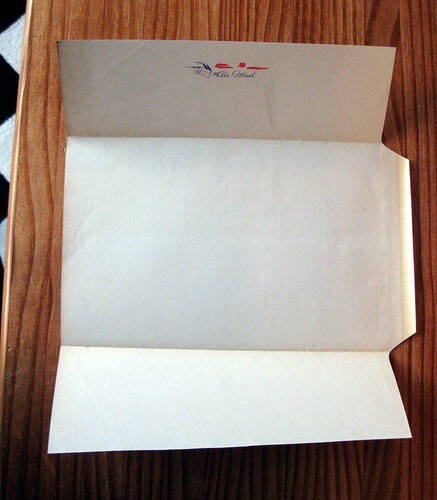 I'm so excited about this World War II era stationery, just listed in my etsy shop. The little envelope with wings is my favorite part! 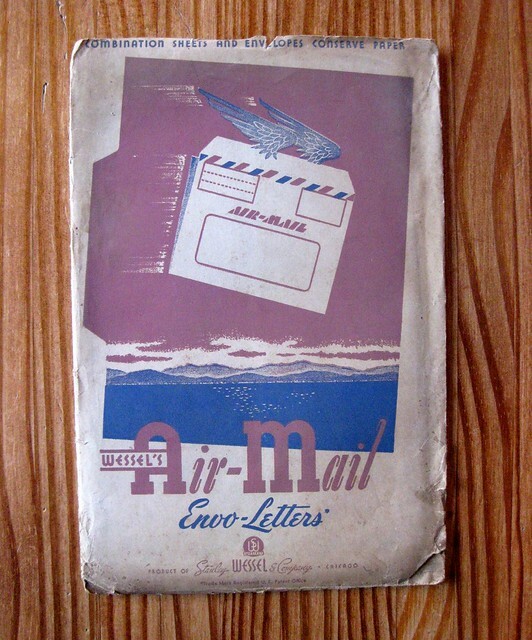 This is a complete original set of Wessel's Air Mail Envo-Letters, in original packaging. 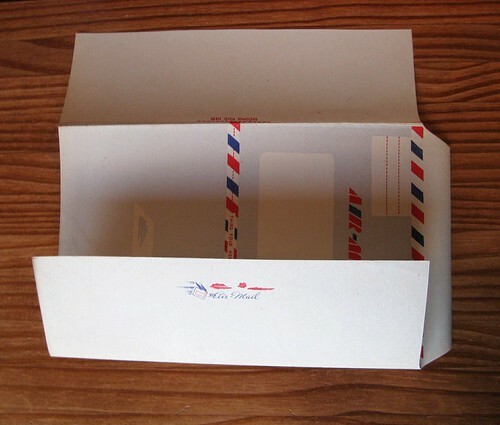 The paper folder contains 12 sheets of aerogramme-style stationery, which fold up into their own envelopes. 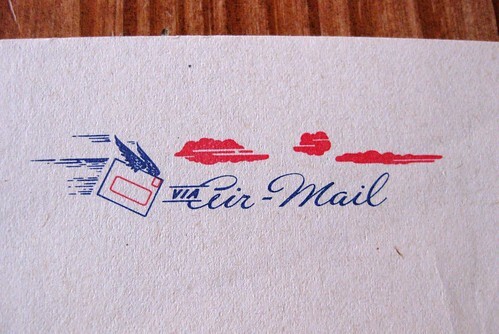 The 1940s air mail graphics are stunning! Though they do not have a specific date on them, I'm near certain they are from the 1940s, roughly in the World War 2 era. 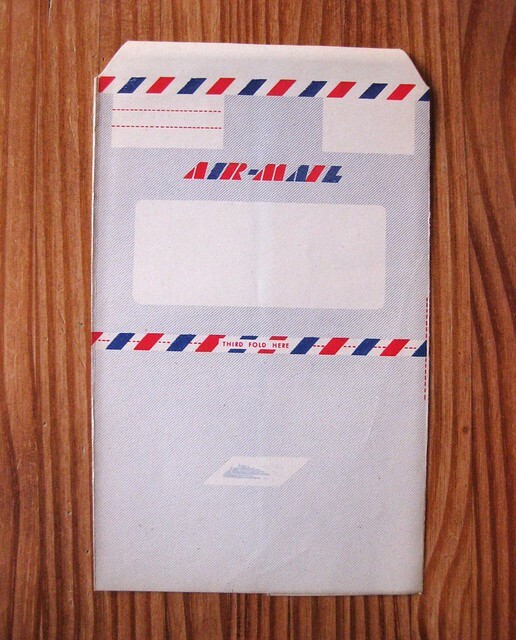 ...and they are mostly blank on the inside, except for the fantastic Air Mail with wings graphic shown in close-up at the top of this post. For aficionados of vintage writing instruments, I have enjoyed these in my own letter-writing, and can attest that this vintage paper is very fountain pen friendly, and takes fountain pen ink beautifully. I have a few of these sets in the original packaging - fun to look at, and fun to write on. 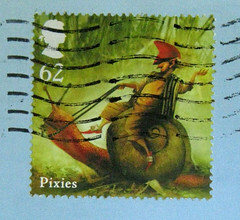 Check out an example of one I sent internationally a few months ago. Oh my word. I might need to buy those. What a treasure.